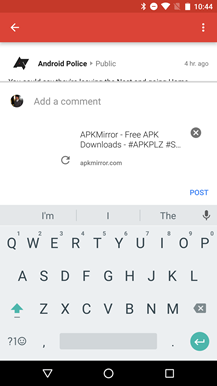 Google announced yesterday that the Google+ "Web Preview" has been officially promoted to the standard interface in browsers and the Classic UI would vanish in the next few weeks. Alongside this news, a few new features were also mentioned, including support for embedded images and link previews in comment threads and new community moderation features. 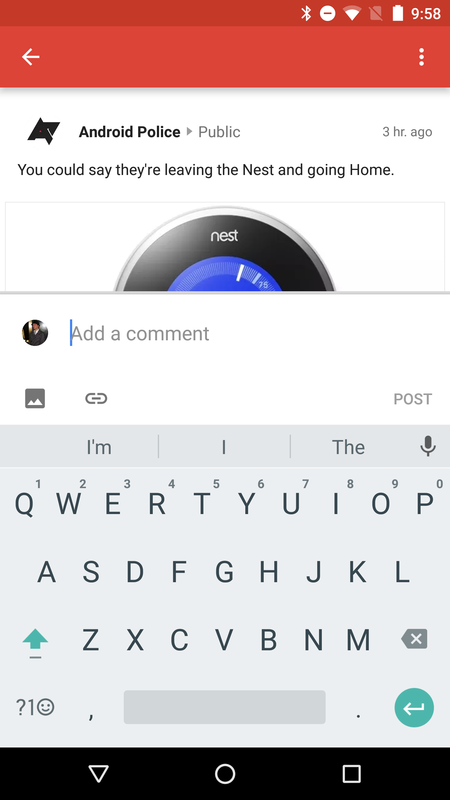 Not to be left out, there's a new update for the Google+ app rolling out today with the new comment features. Community moderation doesn't appear to be enabled yet, but based on a recent teardown, it's probably coming soon. If you're not content waiting around for the update to become available naturally, there's a download link below to get the apk right away. Left: v8.5 showing just links. Right: v8.6 with embedded images and link previews. The addition of images and link previews in the comment section of posts is definitely the big news for this Google+ update. The comments start to look really drab without some color, but now they'll be loaded with pictures and animations. Hmmm.... Maybe this is a little dangerous. 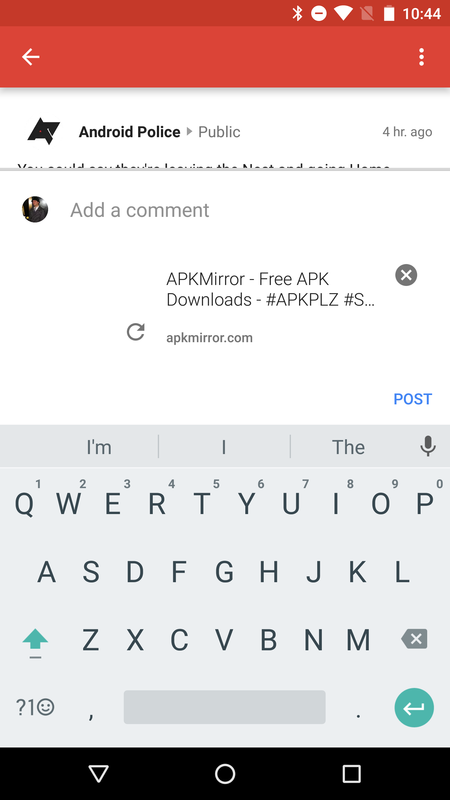 A teardown last month gave away the secret, but with yesterday's announcement and today's app update, rich comments are now available across both web and mobile. The screenshots above show comments with both embedded images and link previews. 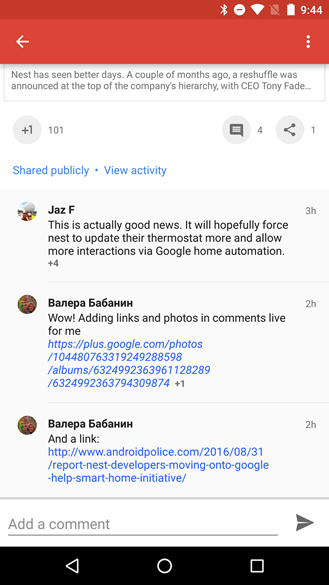 Users still running older versions of the Google+ app will continue to see links like those shown in the left screenshot until they update. 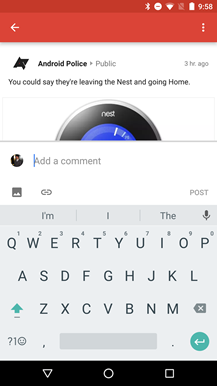 Left: comment screen with new embed buttons. Middle: add a link. Right: link added. Above are some shots of creating rich comments. 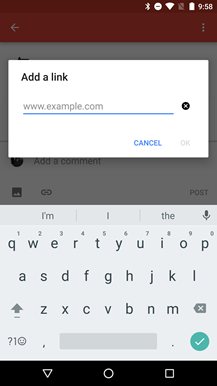 There are two new buttons below the text field, one for embedding an image and another for adding links. Anything added through these buttons can be removed. If something is removed, Google+ will prompt you to ask if anything was forgotten. It's possible the new community moderation features are already available to a limited audience and may be rolling out in stages. If you manage a community, keep an eye out for an option in the app to hold posts for review. That should be a sign it's available to you. 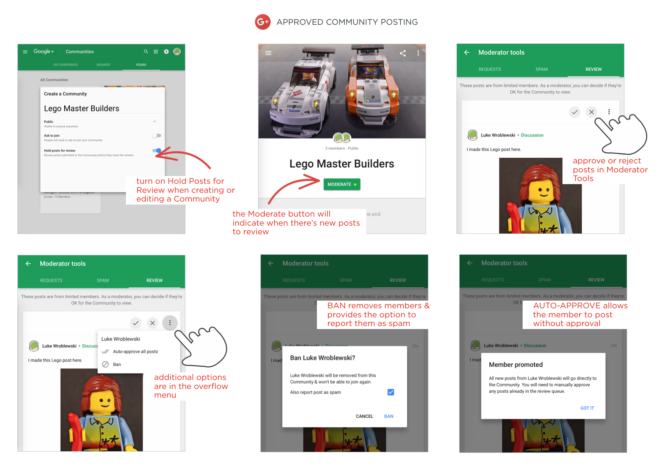 Luke Wroblewsky posted to G+ earlier today to announce that the new "hold posts for review" features for community moderation were rolling out to Android and iOS users. With this feature enabled, posts by members of the community will not be made visible to other members right away. Instead, they will wait in a queue for moderators to approve them. Specific members can also be promoted so that their posts don't have to visit the queue before becoming visible. 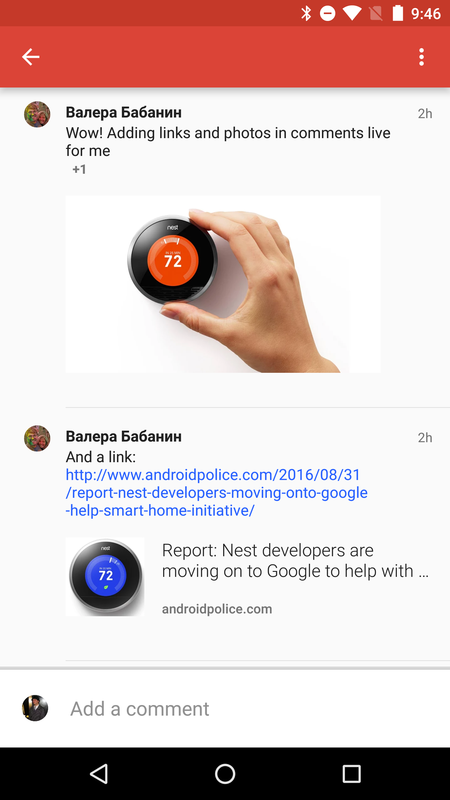 There is also a fresh update to the Google+ apk rolling out today. It's necessary for the full set of community moderation features, but it doesn't automatically enable them. It seems that these are still triggered by the server and may even be available on the web without being available on mobile. For example, I've been able to turn on the hold posts for review toggle on the web since the original announcement, but that toggle still doesn't appear on Android for me. Nevertheless, if you're eager to have this on Android, grab the latest version from APK Mirror.